Creation: It is inspired by an iconography and specific symbolism channeled directly through the teachings of Ascended Masters. Hand made in Sterling Silver while some parts are plated in 22 karat Gold, It measures 2.5 cm in diameter (1 in) without the spiral ring or loop, depending on the choice you made. 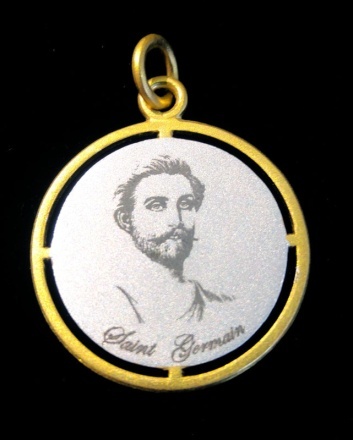 The front part is imprinted with the best representation of Master Saint-Germain using a high technology laser. This technique is very sophisticated as it requires 3 successive applications to allow a final micro crystallization of the image itself within the medallion (therefore impossible for the image to fade). 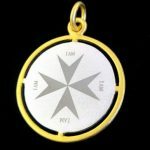 On the back, using the same technique, the symbol of the Maltese Cross is imprinted representing the energy and seal of Master Saint-Germain. 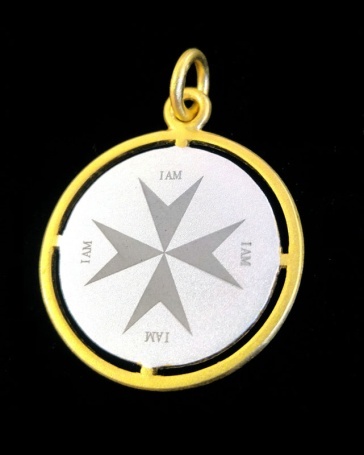 This symbol is super highly charged and activated with the « I AM » mantra in the 4 directions of the Maltese Cross. 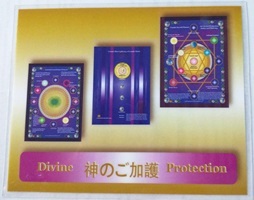 All is enclosed in a Gold plated Silver rim to manifest the electronic strength of the Ascended Masters . 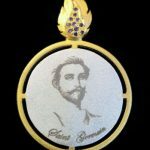 a round ring in gold plated silver · a silver gold plated loop in a violet flame shape with natural purple zircons (it is important to mention that after using the Violet Flame, we must remember to fill up the space with energy transmuted by the Gold Flame to avoid the body to return to the old energies which is why Violet and Gold Flames are used). The electrons for each individual differ in their elemental structure just as each snowflake is unique. 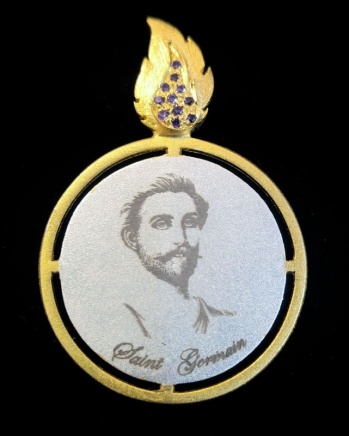 Ascended Master Saint-Germain shares with us that his symbol is the Maltese Cross. 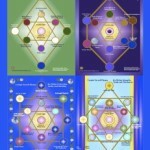 The energetic pattern of Master-Saint-Germain has the Maltese cross on it. 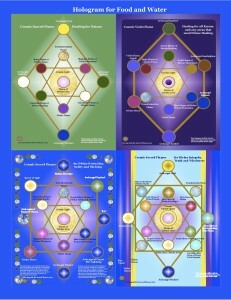 Each of it select ron created is shared by Master Saint-Germain and hisstudents and Chela and bathed in this symbolic and sacred form representing the Master and unifies each student to its teacher. 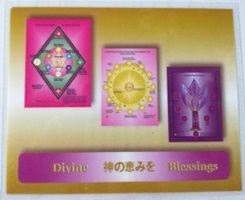 Excerpts from the book Automatic Transmission by Saint-Germain and Ascended Masters by Lotus Ray King at the Saint-Germain Foundation. 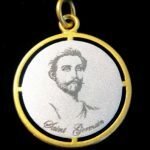 Medallion Benefits: By wearing this medallion, and following the suggestions mentioned by the masters we stay strongly connected to Master Saint-Germain, not only to his electronic strength and the transmutation of the Violet Flame but also to the compassion and forgiveness that is deep within our cells.